Diagnostic and Therapeutic Services: Our mobile hospital is equipped to provide diagnostic and therapeutic services to care for your pets' complete health care needs. Surgical Services: Provided at our affiliate practice, Newtown Square Veterinary Hospital, whose state-of-the-art surgical suite provides for the performance of a wide variety of soft tissue surgical procedures. Radiology Services: Digital X-ray equipment in our mobile hospital, as well as at our affiliate practice, Newtown Square Veterinary Hospital, provides high quality radiographs to aid in the diagnosis of many disorders. Dentistry: Complete Oral Health Assessment and Treatment (COHAT), dental X-rays, tooth extractions and minor oral surgery is provided at our affiliate practice, Newtown Square Veterinary Hospital. Laboratory: Our in-house laboratory facilities provide for such diagnostics as Point-of-Care infectious disease testing, cytology, urinalysis, and parasite testing. We utilize reliable commercial veterinary laboratories for hematology, chemistry, serology, microbiology, histopathology, cytology, parasitology, toxicology and therapeutic drug monitoring results as well as consultations. Vaccinations: By assessing risk vs. benefit for each patient and using our knowledge of current vaccination concepts, specific vaccine antigens and formulations, immunology and state law, we will administer core and non-core vaccines to your dog or cat on a highly individualized basis. And yes, we recommend non-adjuvanted vaccines for all of our feline patients. Pharmacy: Through our in-house and online pharmacies, we offer a comprehensive inventory of pharmaceuticals, nutraceuticals, flea and tick control products, heartworm preventatives and prescription diets to meet the needs of our canine and feline patients. 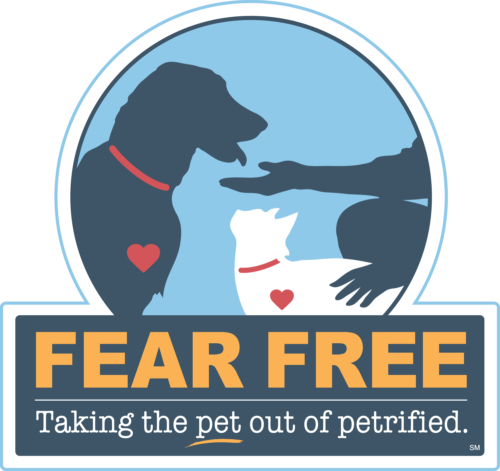 Individualized Flea and Tick Control Programs: We develop programs for the specific needs of your dog or cat and your own particular environmental situation. We will review with you the best ways to control fleas and ticks in your house, in your yard and on your companion animal. Dietary Counseling: We will provide guidance regarding your pet's nutritional needs for each life stage, including dietary requirements for growth, weight maintenance and performance. We will teach you how to body score your dog or cat and help him or her maintain an ideal body condition throughout life. We will help you avoid common pitfalls owners encounter when choosing diets for and feeding their companions. Geriatric Medicine: Old age is not a disease. We will manage proactively issues and illnesses in your dog or cat which tend to occur later in life as well share with you signs to watch for in your companion animal of conditions such as chronic pain due to arthritis, cognitive dysfunction and others. Our goal is to make our patients enjoy the best quality of life possible throughout their whole lives. Euthanasia: When good quality of life in no longer attainable through medical management and/or prognosis is poor for your dog or cat, we offer peaceful euthanasia for your companion at home, where he or she is most comfortable. We offer transport for cremation and a variety of options for ashes and remembrance. Behavioral Counseling: We offer consultations to address issues such as excessive barking, chewing, separation anxiety, spraying, scratching, digging, house soiling and aggression. If indicated or requested, we will refer you to specific board-certified veterinary behaviorists for specialized care. Boarding: We do not provide boarding, but will make recommendations upon request. Bathing: We do not provide grooming, but will make recommendations upon request. Emergency Care: For after-hour care and emergencies, please call Hope Veterinary Specialists or Metropolitan Veterinary Associates. Please click here for a listing, with contact information, of 24/7 emergency and tertiary care facilities in the area.